My name is Tia Farrell and I am teacher of students with autism. 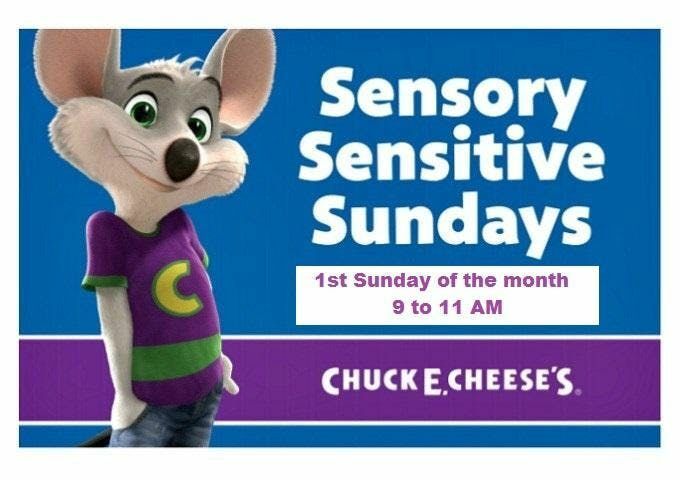 I provide supervised play at Chuck E. Cheese's every 1st Sunday for Sensory Sunday. They dim the lights turn down the music, and open 2 hours earlier to support children with autism. Myself along with trained teaching asistants and behavior interventionist provide support so that parents may leave their child for play time and have peace of mind. In the play environment there may be up to 3 children in your child’s play group with 1 staff. Parents may bring children for up to 5 hours for play time. 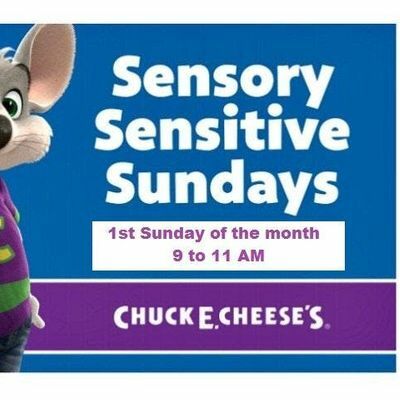 Play time begins at 9:00 a.m-11:00 a.m. for Sensory Sunday, following 11:00 a.m. the environment will return to its normal state, but children may continue to play if their sensory needs are not impacted. Noise reduction headphones are suggested if your child stays past 11:00 a.m.
* 2 hours of playtime 9 a.m.-11 a.m. at $50.00, the cost includes food play. Children may stay up to 5 hours, at 20.00 per extended an hour per child. A discount is provided for parents who book the entire 5 hour session, the rate for entire 5 hours is $100.00 including food, play and supervision costs. Hours are from 9a.m. – 2 p.m. * Every First Sunday (Newark, CA location, other days and locations can be hosted if parents request. Siblings are welcome.